This house is typically occupied by MCR students only. It lies parallel to the 189 and 214b Banbury Rd houses, and so only a couple of minutes walk away from the shopping centre at Summertown. There are 6 single student rooms and 2 married flats. 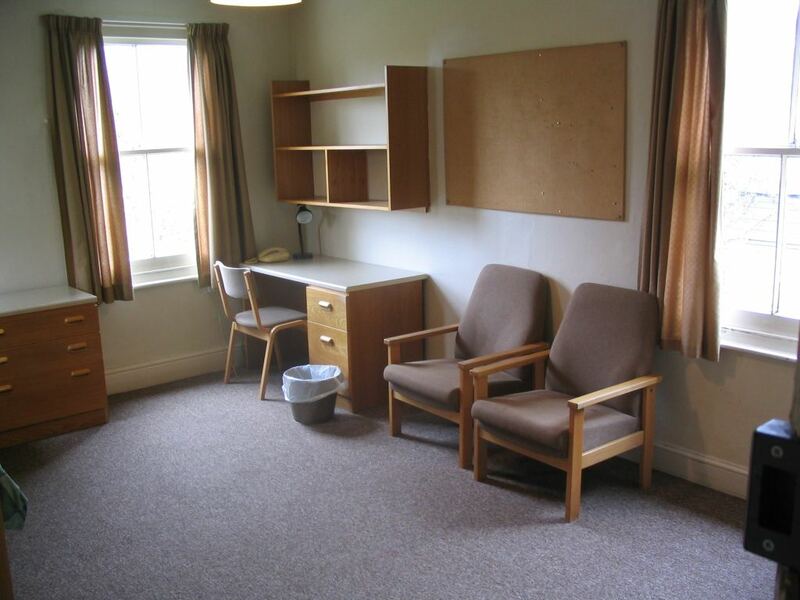 All of the single rooms have in-built sinks, and a decent sized garden to the rear of the house. The windows are not double glazed and so rooms on the front of the house may experience some traffic noise. There is a bus stop directly outside the house, making it relatively easy to travel to the City centre. Ground Bathroom; shower; toilet; large kitchen (with table, built-in cupboards etc). 1 L Ground floor front. Facing west. Good. Old but decent Nice fireplace and ample shelving. High ceiling and bay window. Possible traffic noise. 2 M/L Ground floor back. Facing east. Poor. Old but decent Nice fireplace & some built-in shelves. Small window provides poor light quality. 3 L First floor back. Facing east. Very good Good & modern Windows on three sides of the room provide good light quality. 4 XL First floor front. Facing west. Good Good & modern Two built-in wardrobes. Large bay window provides good light quality. Possible traffic noise. 5 M/L Second floor back. Facing east. Good Good & modern Small built-in wardrobe. 6 XL 2nd floor front, facing west. Good Mix of modern & old Small built-in wardrobe. Possible traffic noise.